Mother’s day originated in 19th century, when in United states, Ann Reeves Jarvis, a social activist, helped in starting ‘mothers day work clubs’. The aim of the club was to teach local women how to take care of their children. After death of Ann Reeves Jarvis, her daughter wanted to honor the sacrifices mothers made for their children and with her efforts, mothers day was celebrated every second Sunday in May. Most of the countries followed the celebration but not one province in Belgium. Belgium has 10 different provinces and Antwerp is one among them. When all the province of Belgium celebrates Mothers day on second Sunday of May, only Antwerp postpones the celebration. Frans Pieter Lodewijk van Kuyck, an Antwerp born artist and an Alderman of Antwerp city, had a different view of Mother’s day. He believed in traditional methods and did not like the modern way of celebrating mother’s day. 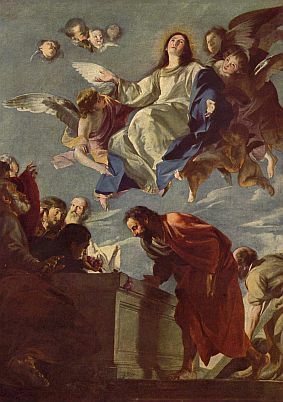 In his opinion, Mother is core of the family and he wanted her importance to be marked on the occasion of ‘assumption of Mary’ (Virgin Mary taken to heaven), August 15th. As a result of Mr. Kuyck‘s campaign, mother’s day is celebrated on August 15th in Antwerp. Rest of Belgium did not follow this traditional catholic version instead celebrates mother’s day on second Sunday of May.